The Lockleys Primary School Governing Council meets twice a term on a Wednesday evening, starting at 6:45pm. The Governing Council plays an active role in developing school policies, liaising with committees and representing the views of the parent community. The Council’s main aim is to ensure the best possible education and facilities are available for our children. The Governing Council is made up of parent representatives, school leadership members and staff. The varying knowledge, skills and background of these members contributes to the decision making processes of the school. Terms of office are usually two years, so that approximately half of the Council is elected at the Annual General Meeting (held at the start of the school year). Updates are published regularly in the school newsletter. Visitors are welcome to attend Governing Council meetings but do not have voting rights. Parents can use the Governing Council as a means of raising issues by writing or speaking with a Council Member. To oversee the general wellbeing and operation of the whole school. To advise the school Principal as necessary, on the correlation between the work of the school and the educational needs of the community. To oversee the facilities, grounds and equipment at the school and to be directly involved in ensuring that the general environment is safe and suitable for children’s learning. To oversee the financial management of the school. To be involved in preparing the Site Improvement Plan, and general school operational issues. To represent parents and caregivers within the school community in making decisions about the school’s operations. To carry out such duties as required by the regulations or requirements of the Minister. 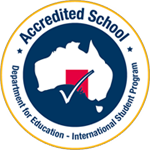 Click here to visit the South Australian Association Of State School Organisations Inc. (SAASSO) website.